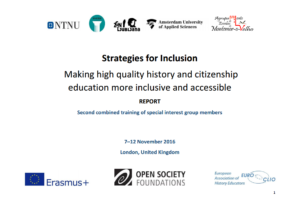 The project contributed to make the teaching and learning of history and citizenship at schools more inclusive and accessible for learners with special educational needs and disabilities. It has enhanced equity, diversity, and inclusion of educational systems overall, while strengthening the profile of teaching professions and the quality through mobility and cross-border cooperation. The project lasted for a total of 36 months, and it finished in September 2018. 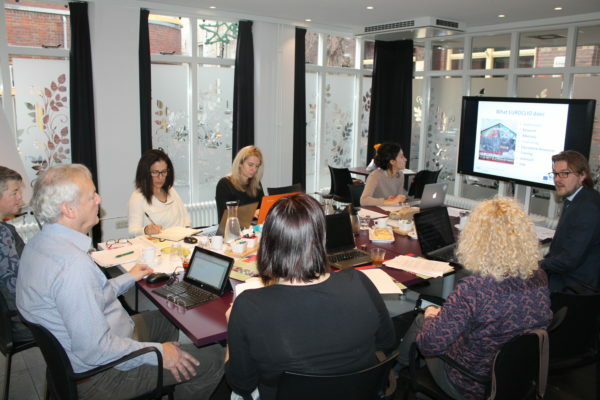 EUROCLIO worked with several associations and organizations from six different countries throughout Europe. 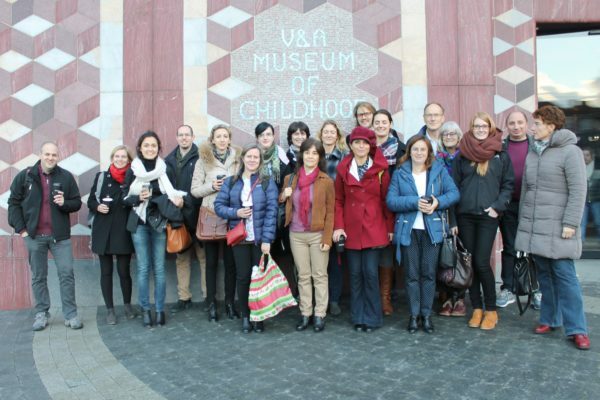 The Armenian member organization (CIVITAS) participated, as well as schools from Portugal (School Cluster of Coimbra and Montemor-o-Velho), and Slovenia (Zavod za gluhe in ngalusne Ljubliana) and two institutions of higher education from the Netherlands (Hogeschool van Amsterdam) and Norway (Norges Teknisk-Naturvitenskapelige Universitet). 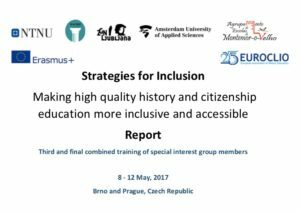 The consortium worked together to produce tailored educational resources, build the capacity of educators, build more awareness of the importance of inclusive and citizenship education, and create a transferable model on the implementation of strategies for inclusion that can be adapted for use in other subjects as well. 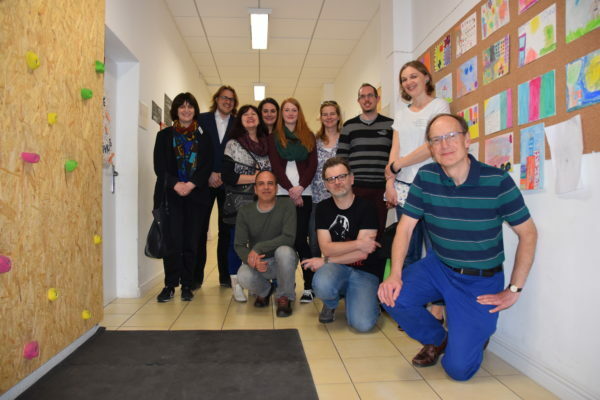 While the project addressed all learners, it concentrated on learners from known vulnerable groups, with special educational needs and disabilities. In particular, Blind or Partially Sighted or Deaf or Hard-of-Hearing and Motivation and Learner Variability target groups. To enhance equity, diversity and inclusion of educational systems overall. 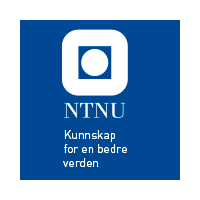 To strengthen the profile of teaching professionals and the quality through mobility and cross-border cooperation. To produce tailored educational resources. To build more awareness of the importance of inclusive and citizenship education. To create a transferable model on the implementation of strategies for inclusion that can be adapted for use in other subjects as well. Transferable model on the implementation of strategies for inclusion related to the learning of subject specific competences that can be adapted for use in other subjects. The purpose of this selection was to ensure that the current project developed from what had already been done by other stakeholders, and was complementary to those initiatives. This selection is the result of a stock-taking of resources and recommendations that were considered most useful for the implementation of inclusive strategies for history and citizenship education. The results of the selection of existing resources should serve educators who are currently teaching history and citizenship education, or work as teacher trainers or students who study to become a teacher in the mentioned fields. The target group was not limited to educators who are only involved in special needs education, but cover a wide range of educators working with students with diverse needs, competencies and background. The selection of resources is in English language, and contributions address a variety of issues such as teacher education, classroom practice, school environment, pedagogy and didactics. 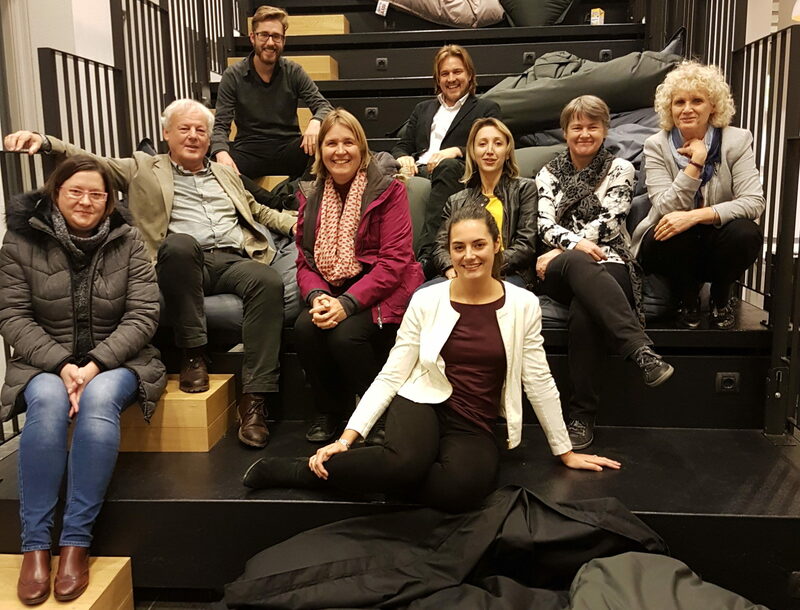 The purpose of this assessment was to ensure that the educational resource developed in the project met the needs of educators who are directly involved in teaching and learning of inclusive history and citizenship education and provide insight for policy recommendations. 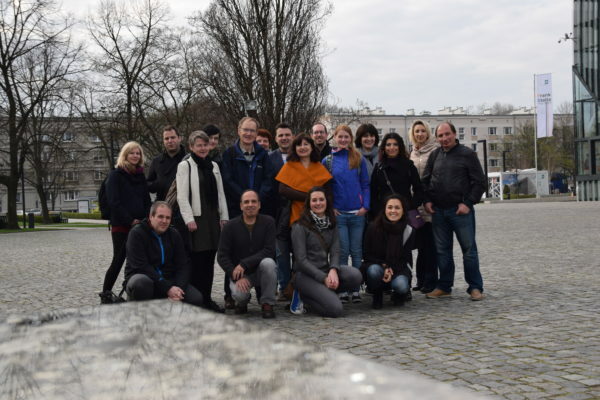 Collected inputs aimed to provide better understanding on what real barriers to learning history and citizenship are from the point of view of educators, ensure that educational resources developed in the project met the need of students and educators. The results of selection of existing resources targeted educators currently working as history and citizenship educators. The output represents views of inclusive practitioners of both integrated and specialised schools and educators teaching students with diverse learning needs. Needs assessment involved opinion of 193 educators from 33 countries. Inputs were geographically, and gender balanced and relevant for history and citizenship education. Considering the characteristics of the target population in this study a convenience sampling was employed being the participant teachers those who volunteered to respond to the questionnaire. The questionnaire consisted of 28 closed questions and one opened, written in English. The purpose of this documentation was to find out more what was currently done in terms of making history and citizenship education more inclusive and accessible, and make sure that the proposed project was making best use of these practices, and complemented them. The collection aimed to help educators to learn from the real life experience of colleagues, and help them to think strategically and consider adapting the practices to their own contexts. 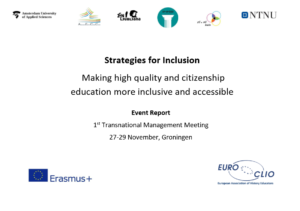 The collection of practices resulted in detailed information about the use of strategies for inclusion and how it may be adapted to various educational contexts. Each documented item helps to understand how the strategy was actually implemented, what factors influenced its use, and what challenges were encountered during its implementation. The interviews were part of a collection of practices where educators, professionals and scholars that have been involved with inclusive education were interviewed. The collection includes examples of strategies used to promote high-quality history and citizenship education amongst students and with students who are blind or partially sighted or Deaf or Hard-of-Hearing and who have motivation and learner variability challenges. Click here to find the full collection of practices. 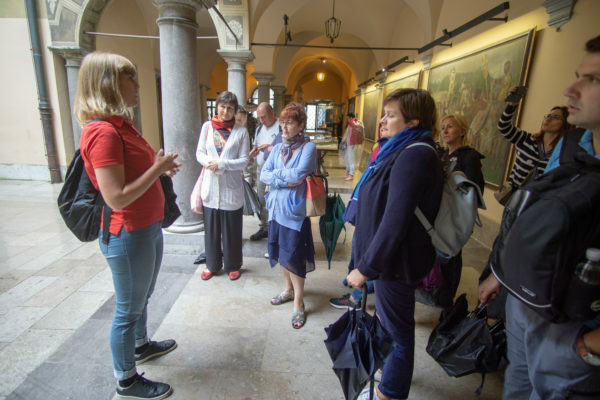 The educational resources developed in the project were designed to help educators implement high-quality history and heritage education to all learners, including those with special needs. This intellectual output consists in ready-to-use educational resources, learning activities and teacher’s guide on how make history and citizenship education inclusive and accessible. The purpose of the development of educational resources was to provide tools that educators can use to ensure that their teaching is not only of high quality, but also inclusive and accessible. 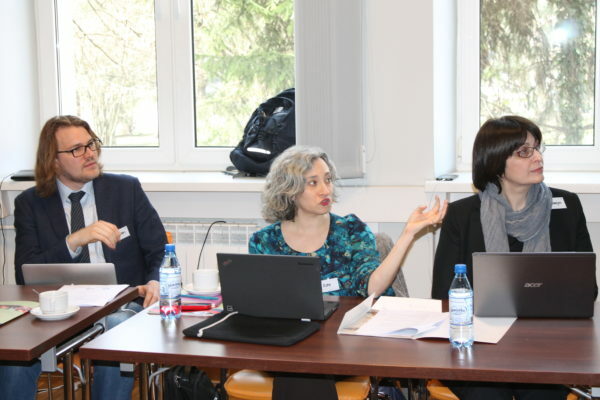 The development, piloting and peer-review helped to build the competence of the educators involved, to identify obstacles to learning, and challenged the project team to find solutions to remove these obstacles. The educational resources were developed in English, but each project partner was enabled to select 3 learning activities that they found most relevant and applicable to their own national context. The learning activities that were selected by the project partner have been translated into their national languages (e.g. Armenian, Dutch, Norwegian, Portuguese and Slovenian). All the learning activities developed in the project are open source and available for download on Historiana. To see all the activities, just type Strategies for Inclusion on the research bar of the Teaching&Learning page on the Historiana eLearning Environment. Click here to find the learning activities. Clear cut and concrete, to be able to result in measures that could be implemented without further elaborations or development programs. Generic enough to be applicable to a multiplicity of different national contexts. Specific to obstacles that we identify as teaching and learning problems connected with history and citizenship specifically, and not obstacles to teaching and learning in general. 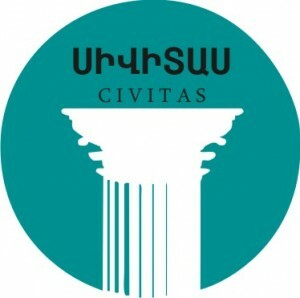 The analysis report of the selection of existing resources in the field of Inclusive History and Citizenship Education was made by the Armenian Center for Democratic Education-CIVITAS, (Armenian-CIVITAS) NGO in close cooperation with the project lead partner EUROCLIO and other consortium members. This Analysis Report aims to serve the function of a route map to a selection of quality resources in the field of Inclusive History and Citizenship Education for subject teachers, educators, policy makers and a wider audience. This collection of resources has more than 100 entries and the interested users can find teaching and learning materials, articles and reports, books, educational web recourses on History and Citizenship Education. 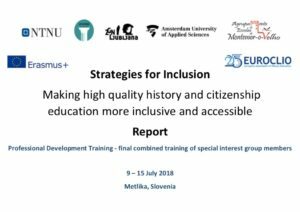 They will also find resources on recommended approaches and methodology on how to make History and Citizenship Education more inclusive and accessible for all. 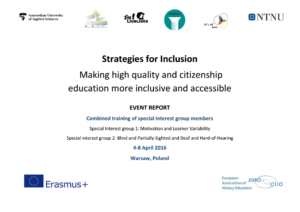 The document consists of summary reports of selected resources in thematic units such as History Education, Citizenship Education, Resources for students who are deaf or hard-of-hearing, and Resources for students who are blind or partially-sighed, Resources on Motivation and Learners Variability and Inclusive Education Resources. These thematic units were included for the users who are particularly interested in making their History and Citizenship teaching/learning inclusive and of higher quality. 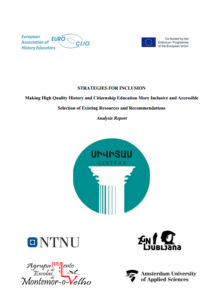 The consortium partners strongly believe this collection of existing resources on high quality History and Citizenship Education and Inclusive Education accomplished under “Strategies for Inclusion- Making High Quality History and Citizenship Education More Inclusive and Accessible” (STRA4INC) project with all its limitations can serve as a hands-on tool and a resource database for further reference for teachers, educational practitioners, experts and policy makers to have an easy access to quality resources. 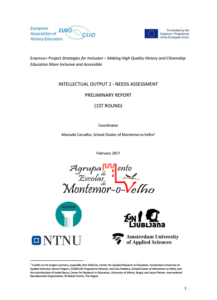 The report of the needs assessment has been prepared by Manuela Carvalho from the School Cluster of Montemor-o-Velho in close cooperation with the consortium members of the project. 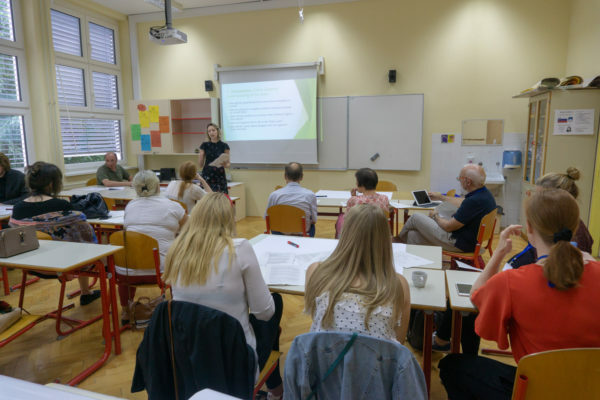 This area of the project intended to identify the barriers to the implementation of a high quality history and citizenship teaching and learning for the targeted students, ensuring that the other intellectual outputs corresponded to the needs. The report of the needs assessment presents the findings of the online survey which have been responded by 193 educators from 33 countries. Considering the characteristics of the target population in this study a convenience sampling was employed being the participant teachers those who volunteered to respond to the questionnaire. The questionnaire consisted of 28 closed questions and one opened, written in English. The report starts by a "portrait" of the participants' background, regarding their work contexts, experience in teaching the students' target groups and training. A second part presents their perceptions on the existing barriers to teaching students with diverse learning needs in what concerns the administration levels, their practices to teach concepts and competencies and training needed. Consult the report for the conclusions arisen from the results of the teachers’ questionnaire.